Among the Edition Rare, Rosam seems to be the overlooked one. The rose/oud combo makes it sound as just another (forgettable) delivery in the overly crowded Dark Rose / Black Aoud / Portrait of a Lady territory: wrong! Rosam doesn't resemble of any of those (more or less) monumental releases of the same "family". It opens with an incredibly efemeral yet beautiful watery/transparent rose note joined by subtle citruses and a touch of incense to quickly evolve into a velvety and sort of creamy sweet/woody-oud/ambery base with a remarkable saffron note. The oud note is nowhere similar to the Montale. Forget the medicinal/harsh quality and be prepared for something dark, woody and smooth. The transition from the opening to the drydown occurs pretty soon devoiding the rose of the initial watery and slightly acidic aspect. 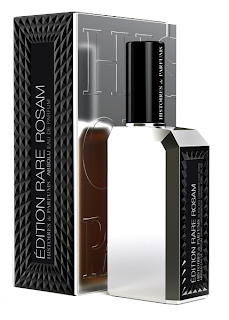 In this phase Rosam results balmy, enveloping and definitely velvety. Rose is there, remarkable and necessary but unlike other fragrances such as Portrait Of A Lady and Black Aoud, is definitely more blended and sort of restrained. On paper and fabric, the opening accord is much more durable and persists also during the drydown which occours much more later than on the skin. Probably not as outstanding as Petroleum and Ambrarem, but surely not something to overlook.